Phill's New S4 Black Edition Saloon in Sepang Blue - Collected!!!! Tashfeen, Av4nt, xpoweruk and 6 others like this. Fantastic, @Phill_ , well done! I've heard there has been a global shortage on Sepang paint at the moment, they think it may take around 2 years for the stock levels to get back to normal. 4RingsDave, mister.c., ERBY and 2 others like this. Nice spec @Phill_ and I'm sure you've looked at BristleHounds recent picture of his Sepang Saloon to get an idea what it will look like. It's always interesting to hear which options people add over and above the spec of the car. Sports differential was pretty must the first box I ticked (so ADS by default). I wasn't overly fussed about advanced key, if it hasn't been £400+ I might have ticked the box. I'm a luddite when it comes to wanting tech in my car too so advanced parking didn't interest me (neither did any of the driver 'help' options, like lane change warning etc.) ..
And oddly I've not gone for the sports seats which would have been a definite for me a few years back, but I've had leather in my last few cars and when I'm on a hoon or it's a cold day prefer alcantara (which we have in my wife's Q5, and I had in my JCW). Yep, it was @Bristle Hound fault that I finally ordered thanks to his pictures! Tashfeen, Bristle Hound and scotty76 like this. Decided against the Sports Diff in the end. If its about the cost and you can make it work, ditch the dynamic steering and get the sports diff instead. I have the dynamic steering and can't truthfully say that its worth it. Yes, I have also heard this and later learnt that it is down to one of the primary agents 'Pang' specifically suffering from said global shortage and a vital element of the famous Sepang mix. A reliable source has told me that without the 'pang', it now bears a remarkable resemblance to 'Daytona Grey'..
4RingsDave and scotty76 like this. Black ones are going to be super rare soon. Ah but what about black S4s. Audi themselves caused this problem by making it an option colour on most cars, when it used to be a RS colour or exclusive paint. Awesome Spec on the new car though, hope the wait isn't too painful! TahirS and scotty76 like this. 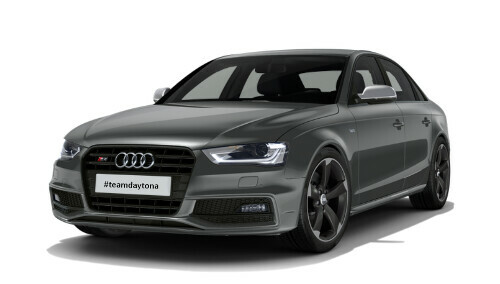 I may well be about to have the only Tornado Grey S4 (hell, the only Tornado Grey Audi) in the world. Congrats on your s4, like you wondering how long until we get a build date??? ERBY and jdp1962 like this. Got the car with a host of options. Your order has now arrived at our factory in Ingolstadt. Here, we'll assemble all the parts of your car before it begins its journey to your Audi Centre. Ingolstadt is just one of our factories worldwide, all of which are staffed by Audi Trained Technicians and Engineers who work to the highest Audi standards. @Phill_ - Great news Phil & great spec! I've had Advanced Key on my last two cars, couldn't be without it now. Not convinced with the tracker tbh. Mine was saying July 20th for a while, now says 27th. At the same time my dealer has been telling me it was wk32 but called today to say it's now been brought forward to bw30! Who knows! Either way it will be a September pick up I guess. I love the way you've captured those images from the tracker site. "Your S4 Saloon will begin construction on 19th October 2015." "Your S4 Saloon will begin construction on 24th August 2015." Bristle Hound, TheFiftheElement, jdp1962 and 1 other person like this. Well I've been on holiday in Spain this week and I've watched the tracker, the car is now painted, assembled and currently in Quality Control! jdp1962 and Bristle Hound like this. Trust me, in a few days time, you'll be tuning into Radio 4 to check the shipping forecast. Does the last ever B8.5 S4 off the line come with an extra special gift? @Dippy - Yup. The new owner doesn't have to pay for it! Anyway, it's in transit this morning!!!! Bristle Hound and jdp1962 like this. Lippy, TahirS, scotty76 and 2 others like this. It's at the dealers! Being tinted on Monday but probably won't be able to pick it up until next weekend... It's going to be a long week!